Automation is key to creating more streamlined and measurable marketing campaigns to help grow your sales and profit. 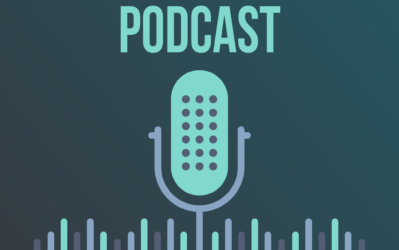 With market trends leaning towards putting your campaigns on autopilot, the ConvertKit vs. Get Response debate is a valid talking point that will determine the automation process you will use for your business. Marketing automation allows you to delegate menial tasks such as sending the right emails to subscribers at the right time, collecting subscribers, and much more. Since your focus is growing your business, you need to invest your time and effort on interpreting the results of the campaign and find ways on how to improve it. 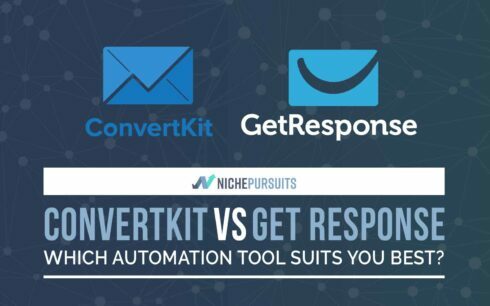 ConvertKit and Get Response are marketing automation tools that make the job much easier for you. Both are some of the best and most popular automation software in the market so you can't go wrong with using either for your business. However, if you want to know which between the two is best for for you, then it's to your benefit you read this post first to help you make an informed decision. The similarities between both platforms end here, however. ConvertKit and Get Response offer something unique in the market that allows them to be two of the most popular email platforms that businesses trust for their marketing software needs. Let's dive into the different features that set ConvertKit and Get Response apart from each other. Bloggers and content creators focus on providing their audience with fresh content that shares their views on opinions about a certain topic. They must present the content compellingly that keeps their readers on their toes and engages them even more. That said, marketing automation may be the last thing bloggers need to worry about. They may not have time to learn a new skill since they're already preoccupied enough with implementing their content strategy, promoting their latest posts, and connecting with influencers to build their network, to name a few. If you're a blogger who feels the same way towards marketing automation, then you will love ConvertKit! One of the main criticisms about marketing automation is the difficulty of using them. Most marketing automation tools are loaded with bells and whistles in their interface which almost make them unusable for beginners. While some would consider the multitude of features available as a positive in an automation platform, others would want a tool that does one thing and does it pretty well. ConvertKit as a cloud-based email tool takes the approach, “keep it simple, stupid!” True enough, it is one of the easiest marketing automation platforms to use. The site's clean UI make it easy to understand the data presented to you in the screen. While the drag and drop builder is common among automation tools to help you build your follow-up emails for your sales funnel, ConvertKit has arguably the easiest builder to date. Its easy-to-follow logic of “if this, then that” recipe lets you set up multiple automation recipes you can combine with each other to keep your audience engaged with your brand. Also, some tools offer drag and drop builder for composing your emails complete with pre-made templates so you don't have to create from scratch. While having this option allows you to send emails that are eye-catching to your subscribers, ConvertKit foregoes beautiful designs for their email and instead focus on text-based emails. By not offering an email builder, it encourages content creators to focus on sharing their message to their subscribers and not on the design. More importantly, text-based email convert much better compared to HTML emails. When building your email list, you find yourself sending the same emails to everyone. Since they signed up to your list, it is easy to assume they would like to receive all your emails. However, this isn't always the case. 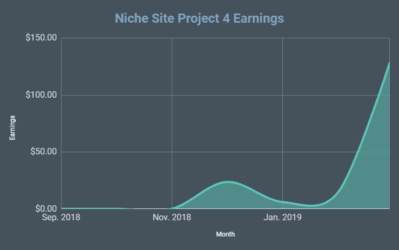 For example, if you own an Amazon affiliate marketing niche blog, It is possible they signed up to any of your opt-in forms embedded on a post about how to grow traffic to your affiliate blog using social media. By signing up, they expected to receive more tips on how to grow their traffic. Instead, they start receiving emails about Amazon affiliate, something they may not be interested in. As a result, they will unsubscribe from your list because the emails you were sending didn't meet their demands. This is common among bloggers building an email list. It is difficult to keep up with what your subscribers like because there's a good chance not all of them have the same idea in mind. Thankfully, ConvertKit allows you to identify what people want to receive from you by tagging each one. You can tag your subscribers by using the tool's Automation feature. You can tag them according to the action they took on your email. If they click on a particular link on your email, for instance, you can set the tool to group them in a single tag. This feature is helpful when identifying the emails they want to receive from you. For example, you can mention in the email to click on the link below the paragraph if they want to receive more emails about growing their blog traffic instead of information about Amazon affiliate. Once they clicked on the link, ConvertKit will group them to a tag. You can then send them emails about growing blog traffic so you don't alienate them with emails about something they're not interested in. Another advantage that ConvertKit has over other marketing automation platform is you don't have to pay double for the same subscriber. For list-based tools like Get Response, you pay for the number of subscribers in the list. Even the same person subscribes to different lists, the tool will count them by the number of times they appear on any of your lists. For example, if the same person signs up to three of your email lists, they count as three subscribers. You won't have this problem with ConvertKit. If you have multiple opt-in forms and the same subscriber signs up to all, the tool only counts them as one subscriber. You can organize them according to tags or segments on ConvertKit. They will still receive all the emails and broadcasts sent to people who signed up to the form you created using the tool. You can create a link in the email that lets them unsubscribe from a tag or segment so they won't receive emails from that specific group. ConvertKit's pricing depends on the number of subscribers you have. Their paid plans start at $29/month for 1,000 subscribers or fewer. Their $49/month plan supports between 1,001-3,000 subscribers while the $79/month carries 3,001-5,000 subscribers. People with over 5,000 subscribers will need a custom quote from ConvertKit. 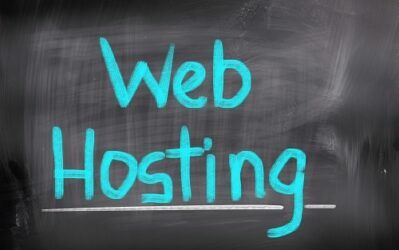 All plans include the same features such as unlimited forms, automation workflows, campaigns, and subscriber tagging. If you're looking for a more robust and comprehensive marketing automation platform, then Get Response has got you covered. It is one of the most established e-mail marketing tools in the industry and is one of the first that adopted marketing automation features in its email platform. In fact, Get Response has added more than enough features to make it the only tool you need for growing your business. Launching a webinar is an excellent way to onboard leads into becoming customers or clients of your business. Instead of sending them emails or writing blog posts, you can engage with them instantaneously by schedule a time and date for everyone to join so you can show them how your product works. 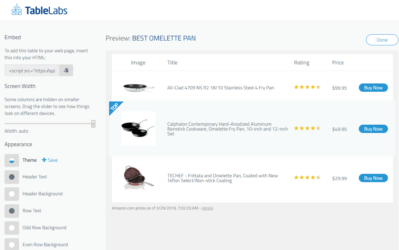 During the product showcase, you can field in questions and answer their concerns in real-time so you can convert and sell your products much better. GetResponse offers a complete suite of webinar marketing features and option on top of its capabilities as an email marketing platform. From the platform, you can set up the webinar URL, the time and date of the webinar, and the password to keep it private (although you can leave the password blank to make the webinar available for all). You can then use Get Response's form builder to collect emails of people interested to join your webinar. Choose from pre-made templates for your opt-in forms so you don't have to start from scratch. Even if your attendees are not in front of their desktop, they can still join the webinar from their iOS or Android phones using the Get Response webinar app. Aside from sharing your screen for your presentation, you can further engage with your audience by using polls to gather feedback, enable the chat feature, and more. Once the webinar is over, you can follow them up using trigger- or time-based campaigns for those who attended. (I recommend reading my WebinarJam Review for a recommend Webinar software tool). Get Response works best with small businesses and startups like e-commerce shops. Get Response knows the growing demand of these businesses as they continue to expand in time. For online stores, the tool is more than equipped to take your e-commerce marketing to the next level! The tool integrates well with most e-commerce platforms like PrestaShop, Magento, WooCommerce, and more. Once you connect Get Response with these platform, you gain access to its data such as the most popular products and others. 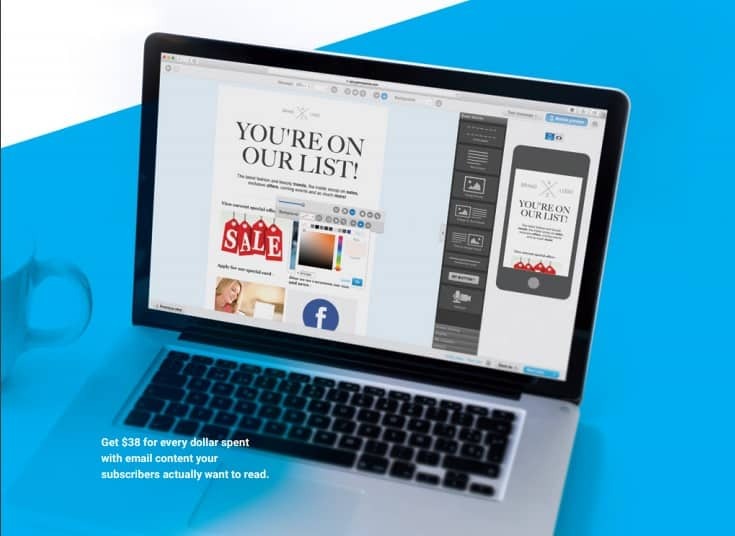 Using this information, you can develop automated email campaigns so you upsell and recommend related products to increase your sales for your e-commerce marketing strategy. When using Get Response's Recommendations block on your email, it automatically analyzes products you can suggest to previous buyers. Drag the block to the email and set it up to generate recommendations to your previous customers and get them to buy again from your transaction email. Abandoned carts is one of the unavoidable issues that e-commerce shops encounter. There are many reasons consumer abandon their carts and some of these reasons are beyond your control. What you can do, however, is to recover abandoned carts using Get Response. You can set up the perfect time when the potential customer will receive the reminder in their email. To help aid in increasing your conversion rate, you can add a discount at the end of the campaign to sweeten the deal. Once you've convinced people to purchase from your site using Get Response, the fun doesn't stop there! You can continue sending them emails to upsell new and similar products, recommend other products for them to buy, or send them newsletters. You can also send them content related to the product they purchased or send them discount coupons as a reward to improve customer relations. To keep better track of your sales pipeline, set it up using Get Response and score your leads. Similar to HubSpot CRM, you can customize the entries in your customer journey so you can organize your leads and find opportunities you can capitalize on. You can edit each subscriber by entering the date of closing the deal with clients or the date when you plan on engaging with them to turn them into clients. You can also add notes on each to help define each lead and understand what else you need to do to convince them to purchase from you. Finally, develop multi-channel marketing using Get Response's CRM and e-marketing solutions to roll out a unified and well-coordinated marketing campaign in a single place. Similar to ConvertKit, GetResponse is a premium email service that starts at $15/month for 1,000 subscribers or less. The Email plan gives you access to all its e-marketing solutions from autoresponders to marketing automation workflows. The Pro plan is the most popular plan at $49/month for 5,000 subscribers or fewer. It offers more comprehensive features for both email marketing and automation functions. The webinar marketing (starting at 100 attendees) and CRM features are available in the Pro plan and above. The Max plan costs $165 for 10,000 subscribers and less while the Enterprise plan costs $1,165 for over 100,000 subscribers. 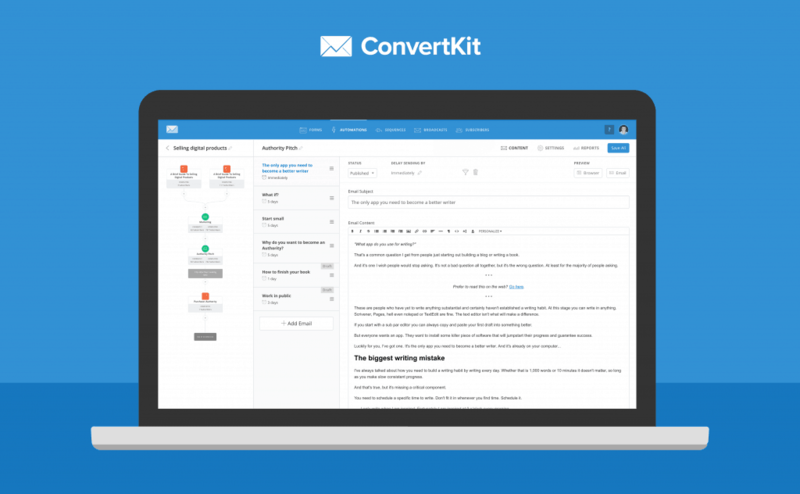 Super simple email tool – Marketing automation doesn't get any simpler than ConvertKit. In fact, it's much easier to use ConvertKit than MailChimp, considered to be one of the easiest email tools in the market. The streamlined features of the tool makes things much simpler for users compared to automation platforms loaded with bells and whistles you won't use for you site. Subscriber-based email platform – The tool counts the number of unique subscribers you have across your list. It doesn't count your subscribers according to the number of people signed up to your list even if the same person subscribed to multiple lists. As a result, you can send emails to people using tags and segments which is much easier compared to sending emails from list to list. Better personalization – The tagging and segmenting options of ConvertKit allows you to identify the preferences of each subscriber in your list. Therefore, you can send them highly targeted emails for higher engagement and conversion rates as well as lower unsubscribe rate. Ability to create a check box in the forms – With the enactment of GDPR last May, ConvertKit should give users the chance to add a check box on the forms stating that people agree to the terms and conditions of the website. Initially expensive – For the features it provides, ConvertKit is worth the price tag. However, for people are still on the verge of building an email list, they might want to try their hand first on free marketing tools like Mailerlite or MailChimp and get acquainted with email marketing first before taking on ConvertKit's offer. Be-all-end-all marketing tool – Get Response has something for everyone. On top of its already robust email marketing and automation features, you manage your pipeline and generate more sales through webinar marketing – all in a single dashboard. Instead of using different tools for this purpose, Get Responses houses all of them for your convenience. 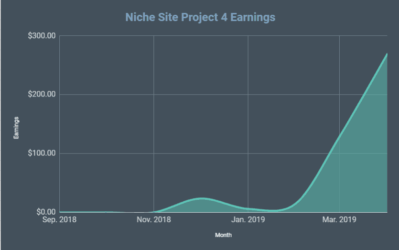 Relatively cheaper than most tools – Get Response starts at $15/month for less or equal to 1,000 subscribers which is half of what ConvertKit costs. As your subscribers increase and you upgrade to their higher plans, you also get to unlock more features to help you grow your business. You also get a 30-day free trial to help you test the features of the tool and see if it's right for you. 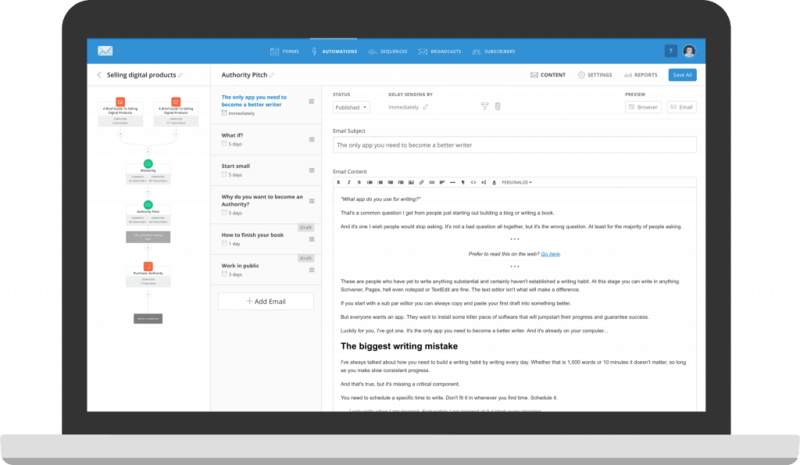 Robust email features – If sending emails are your thing, then you'll feel at home with Get Response. It has one of the best data segmentation among all email tools which is a plus if you like organizing your subscriber list. When adding subscribers to your list, you can choose before single opt-in or double opt-in. From its detail report, you will see data about deliverability to help you parse the performance of your email campaigns. Learning curve when using its features – Get Response is simple enough for seasoned marketers to use. However, there's a hump that other people will need to overcome if they want to use the tool to great effect. For instance, the drag and drop email builder can be difficult to use compared to tools like MailChimp. Also, you don't get to control the behavior of opt-in forms on how to appear on your site. You will need to use third-party apps to customize the forms to your favor. Not all features are available on all plans – Just a minor quibble, but some would find the limited features available for cheaper plans cumbersome. For example, you have less than 1,000 subscribers but want to use their webinar features. To do that, you need to subscriber to its Pro plan even if you don't have over 1,000 subscribers. Based on their unique features above, ConvertKit and Get Response are very different tools despite their similarities as a email marketing platform. If you're a blogger or content creator who focuses on building a personal brand from his or her website or blog, then ConvertKit is the best solution for you. The tool is straightforward and simple, which makes it ideal for bloggers who want a tool they can use out of the box. The easy-to-use UI allows users to get acquainted with the tool naturally and by experimenting with it themselves. While you can criticize ConvertKit for being too simple, it's because the tool is not created to answer the needs of your business. If you are growing your business and need to worry about the aspect of your business outside marketing automation, then Get Response provides an all-in-one marketing tool for you. It not only offers you comprehensive marketing automation features, but it also makes available adjacent tools that complement your e-mail marketing. 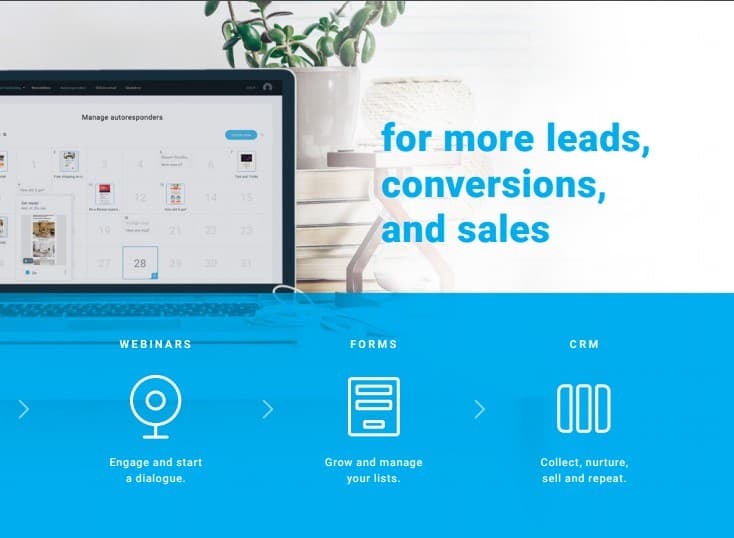 The webinar marketing tool in Get Response gives you an opportunity to engage with your leads and connect with them on a level that no email can do. The CRM feature gives you a better understanding of your sales funnel so you can push the needle and get them to buy from you. Unlike ConvertKit, there is so much to unpack with Get Response. Even if you have a small business, there's a chance you might not need some of its advanced features (at least for now). Also, its interface may confuse some given the many features available in the tool. Then again, building a business requires time and patience. The same thing goes with Get Response. Small businesses will have more use for Get Response's features whether they realize it now or not. While it won't be a surprise if business owners opt for ConvertKit, Get Response accommodates the needs of your business much better. You can sign up to either tool and enjoy a free trial period (ConvertKit for 14 days here and Get Response for 30 days). If you're still ensure which tool is the best one for you, it's best to test-drive both tools upon signing up for their free trial periods and make decide there.